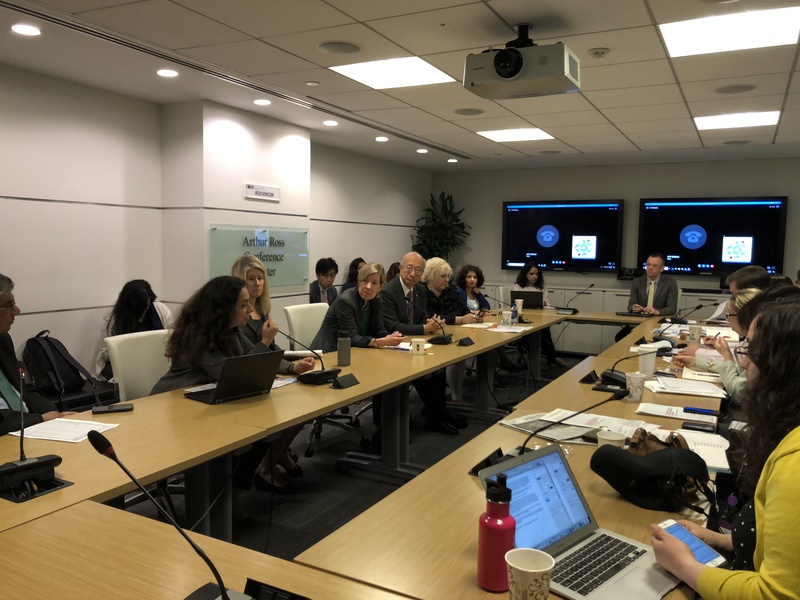 Taking advantage of the convening in New York City of an Interactive Hearing for UN High-Level Meeting on Tuberculosis (UNHLM on TB) on June 4, 2018, JCIE/FGFJ worked with the United Nations Foundation and Results US to hold a media roundtable the following day titled, “Press briefing on tuberculosis: Why 2018 is a historic year in the fight against this deadly, forgotten disease.” The speakers talked about the current status and the efforts to combat tuberculosis, the process leading up to the UNHLM, and the take-aways from the hearing the previous day, highlighting what the current needs are and how much investment it will take to accelerate the fight. The speakers included Ambassador Koro Bessho from the Japan Mission to the UN, who is also co-chair of the UNHLM on TB; Teresa Kasaeva, director of the WHO Global TB Programme; Lucica Ditiu, executive director of the Stop TB Partnership; and Dean Lewis, Asia Pacific Regional Focal Point at the Global Coalition of TB Activists. As tuberculosis is known in Japan as a disease that mainly affects elderly populations, this meeting offered a good opportunity to share information on the reality of the global situation of the disease with journalists from Japanese media outlets.